Double-D Engineering provides structural engineering services for a wide range of projects from residential additions to mid-size office buildings, seismic upgrades, indoor climbing structures, restaurants, condominiums, garages, and art projects. 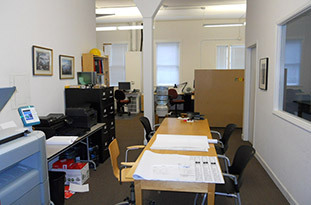 If you are seeking a structural engineering firm for your residential or commercial project in the Bay Area, then you have arrived at the right place. We are a company that relies on referrals through satisfied clientele by cultivating long term relationships, and providing excellent service and quality design. We provide the kind of communication and coordination with clients, helping the client understand the complexities of structural engineering field. Double-D Engineering is a company of employees with long tender that knows how to efficiently complete a project on time and under budget. You will find our fees competitive and our approach very practical. 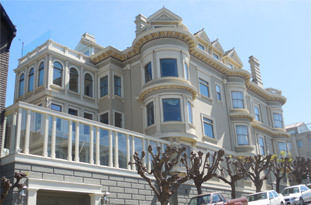 THE MANDATORY SEISMIC RETROFIT PROGRAM has recently been implemented and thousands of soft story buildings in San Francisco will receive Seismic Retrofits in the next 6 years. We have already begun developing drawings for several of these buildings and providing screening forms to The Department of Building Inspection (DBI). Be sure to contact us if you have received a notice from DBI.